Howdy! 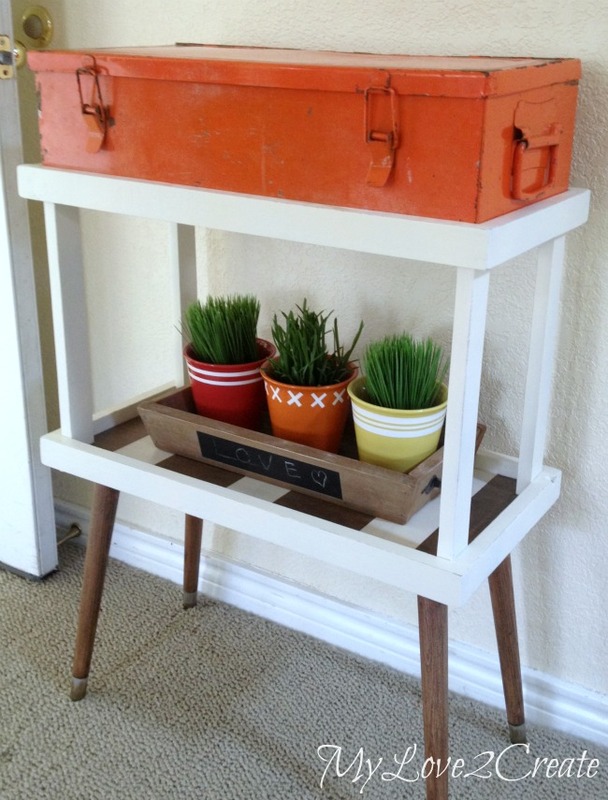 I am happy to share my DIY tray stand, made for an old tool box today. I shared this back in August at My Repurposed Life. 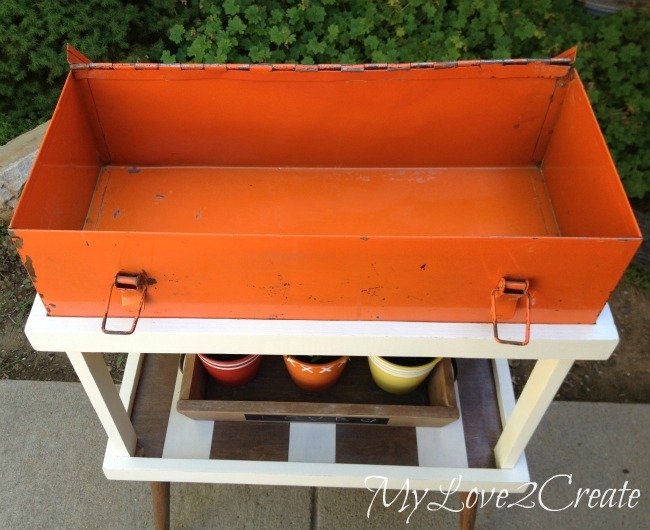 I started with my metal box and set it on a scrap piece of plywood. After I traced around the box onto the plywood I cut it out with my circular saw. Then with the scrap 1x2's I had collected I cut them to fit around the plywood. I used gorilla wood and stapled the short ends first and then finished off with the long ends. One tray all built! Perfect fit! You can see I added a picture of the price tag. Of course I wasn't a fan of the ugly sticker on the top, but I knew I could take care of that. I used equal parts (maybe...I didn't actually measure) of baking soda and vegetable oil and mixed them up. I spread it over the entire sticker and let it sit for at least 10 minutes, for me it was more like 30 because I got busy and forgot. Then I scrubbed in a circular motion with a metal scraper and removed the top layer. There was a thin layer left, so I spread more stuff on and let it sit for 10 min again. After scrubbing this time it all came off! I cleaned the whole box with a soapy rag, wiped it with a clean rag, and dried it. While the sticker on the box was "soaking" I went out to the shed to make another tray the exact same size. 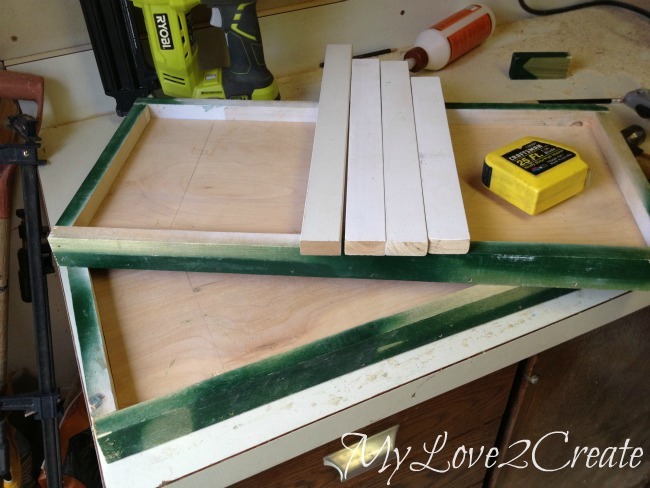 I also grabbed some scrap 1x2's from my Master Closet Makeover to use for supports between the trays. 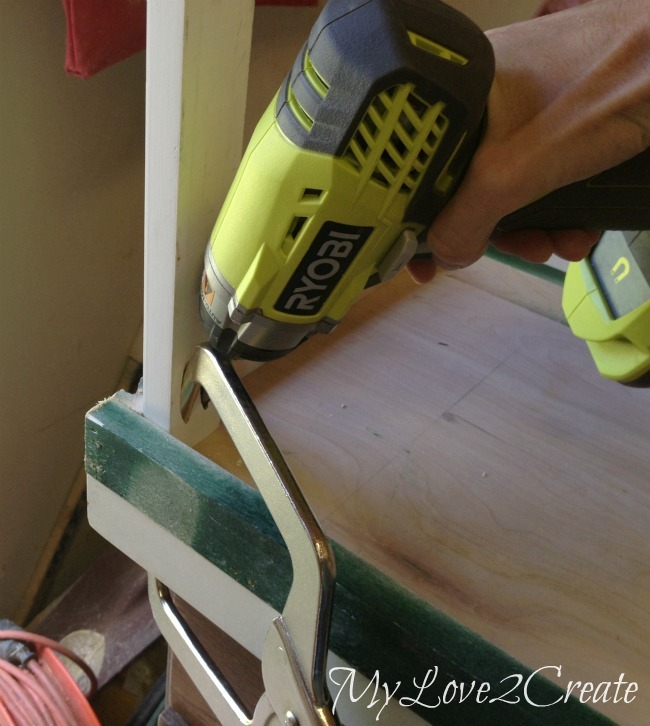 I cut them to 13 inches each and drilled pocket holes with my Kreg jig K4 into each end. 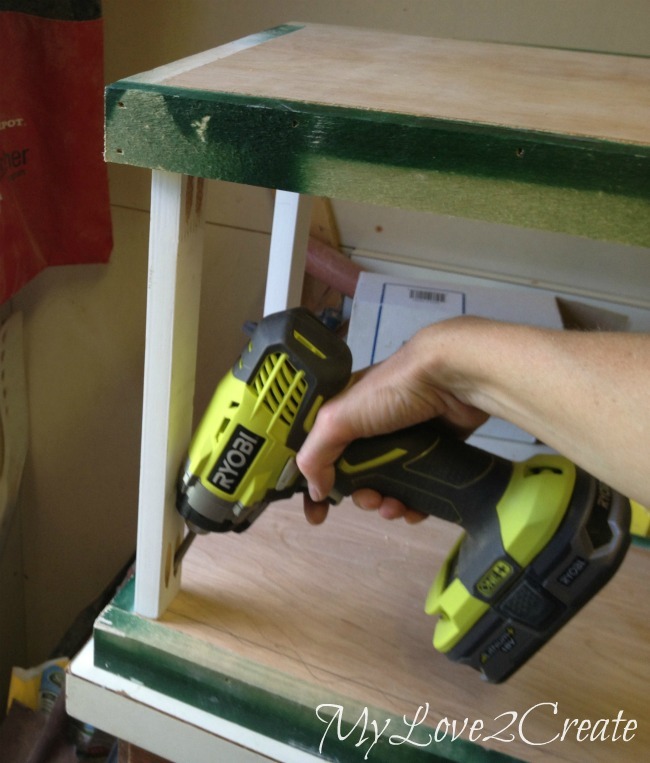 Then I started attaching them to the bottom tray with my pocket hole screws. For the first one I used my right angle clamp, but found I didn't need it for the rest... probably because I was drilling down the boards were secured against the sides, normally I use it because it really helps to hold my boards tight so they don't separate when I screw them together. 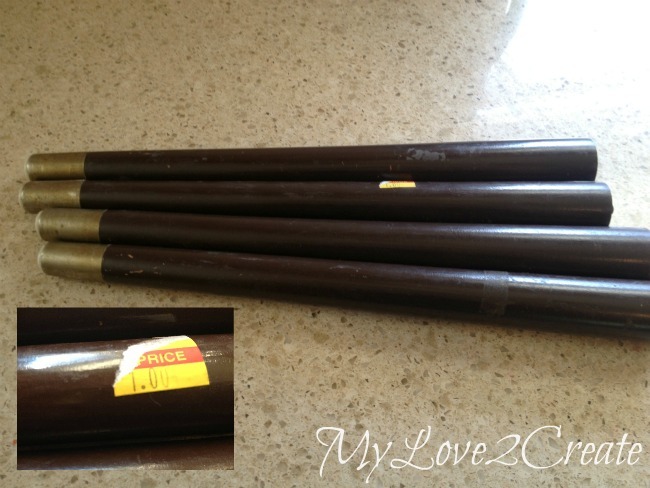 These babies were a $1 at the Restore, for all four. I got them a few years ago before the new manager took over and raised the prices...man I miss the good old days. Anyway, they don't look like much because they are covered with a thick ugly brown, something... Easily taken care of with a sander. I sanded the legs first with 60 grit and then finished with 100 to make them nice and smooth, who would cover up that pretty wood?! Here you can see I am trying out how I want to attach them to the bottom tray. 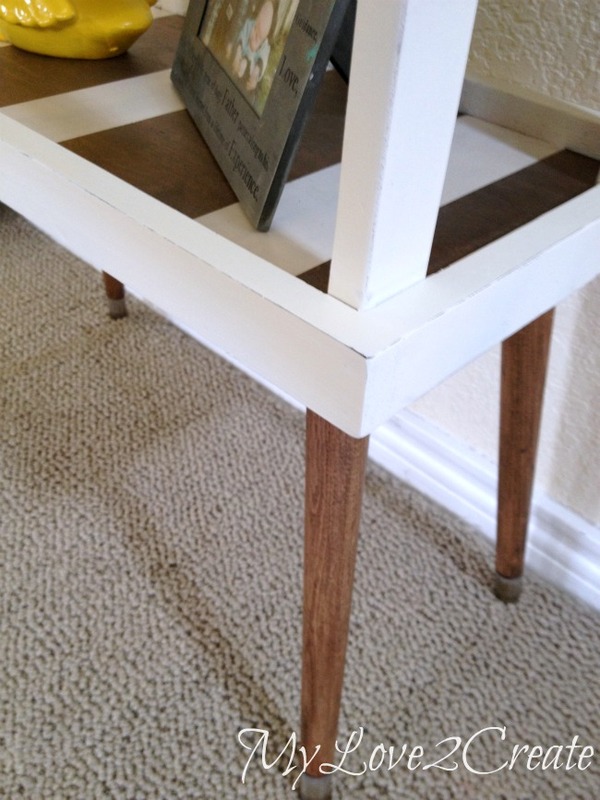 I had the leg mounting plates from when I turned an end table into a desk I love them because you have the option to screw the legs in straight or at an angle. I used the angle. 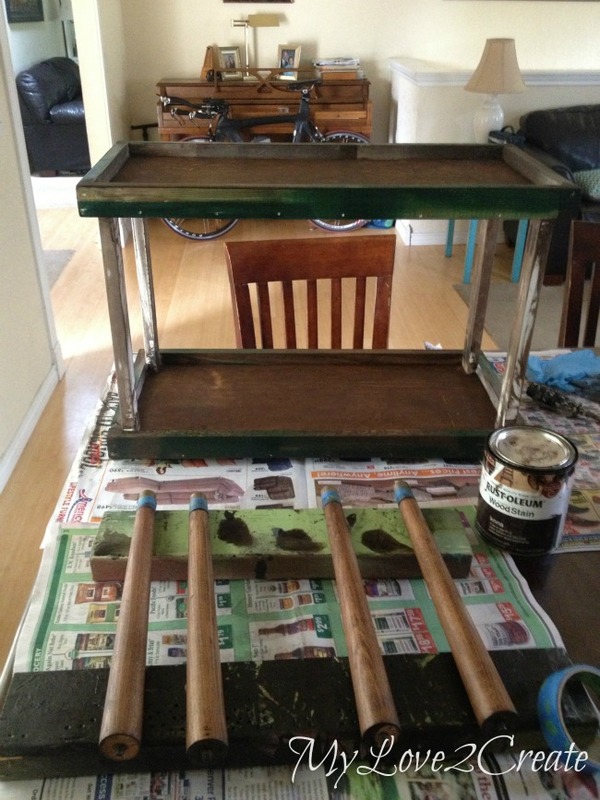 I used wood conditioner and Rust-oleum Kona (surprise, surprise) on the trays and legs. After I stained the tray bottoms I noticed that I hadn't sanded off all the glue that was on the plywood so I had some splotches, I will have to see how to fix that... I was happy with the legs though. I decided to cover up the glue splotches with stripes! 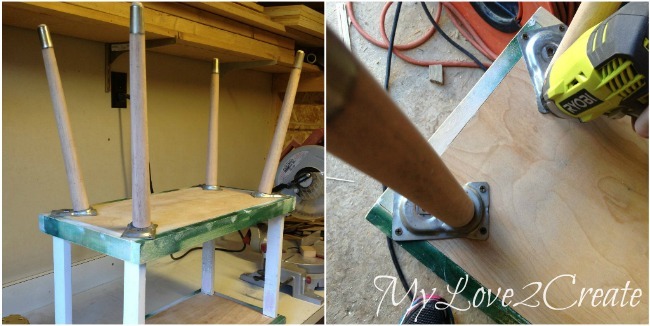 After some poly, I attached the legs and my tray stand was done. I was loving it! Not a trace of sticker left on the top. I am sure I will figure out something! And if I decide I don't want to use the tool box? It is a very cute tray stand on it's own! 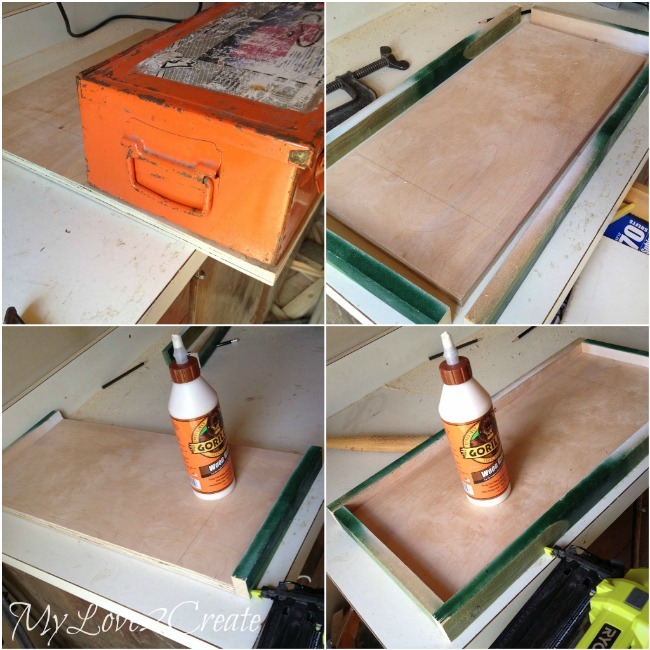 If you want to check out my DIY Tapered tray you see on the top you can here. 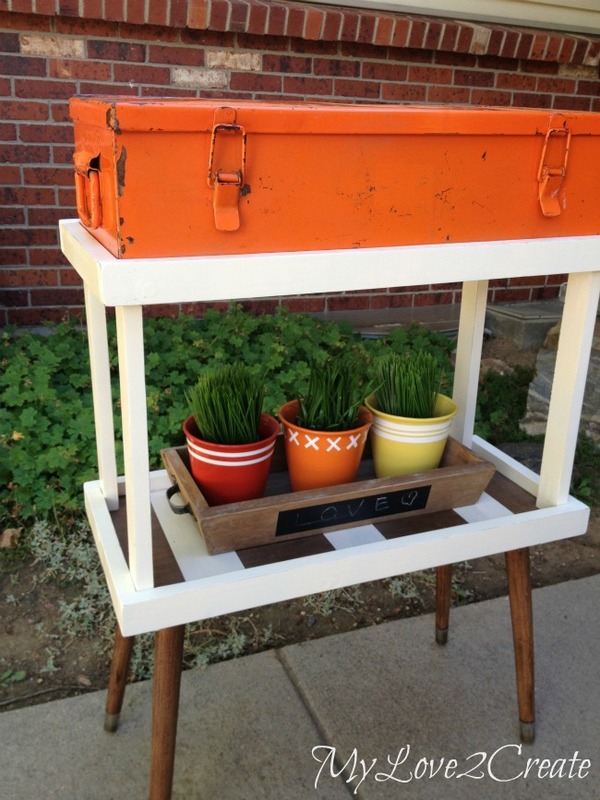 Amazing what a metal box can inspire isn't it! So, do you have any tool boxes laying around? 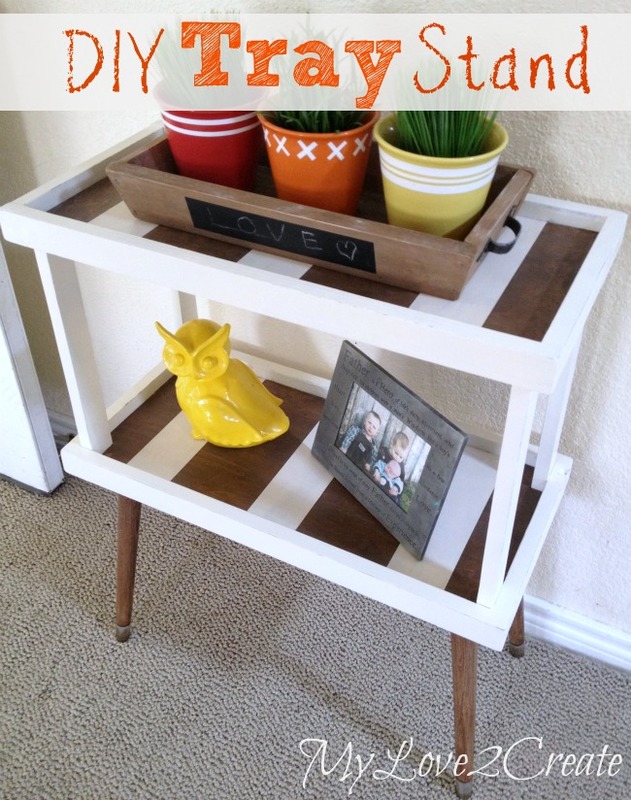 They just might need some TLC to make a great statement in your home! 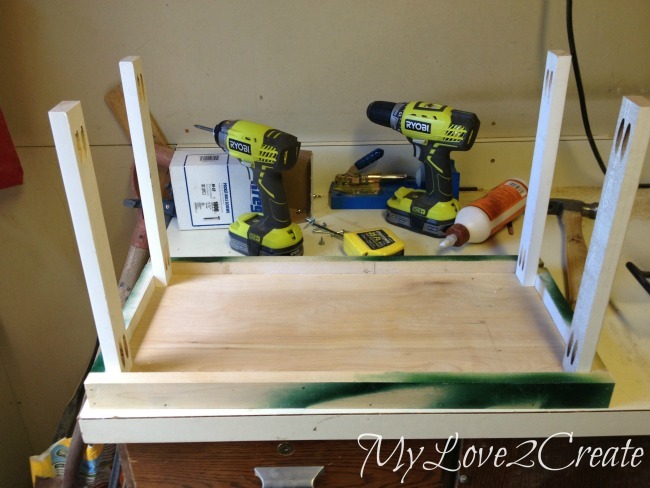 Mindi I love your tray stand on it's own or with the old tool box. Talk about turning junk into treasure! So cool! 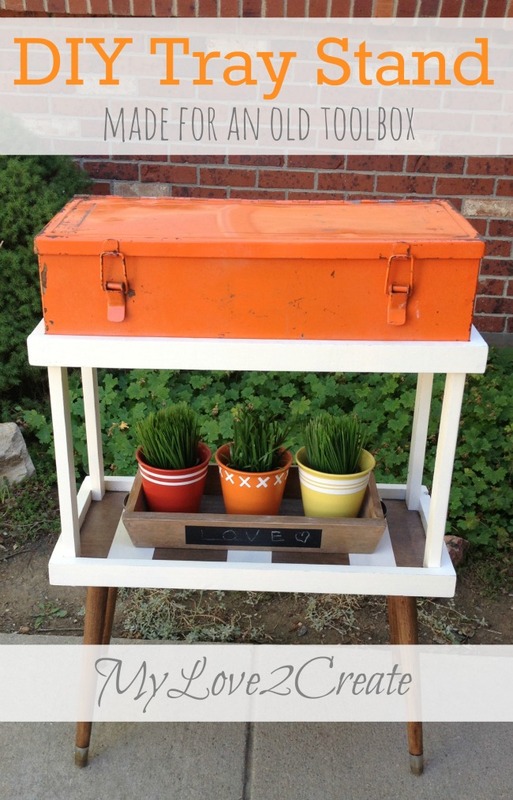 Love the bright toolbox and the versatility of the stand. I even see a nice drink stand for a party. You make so many beautiful pieces. Pinning. Your handy DIY skills awe me! Do you teach classes?? This is just awesome. I feel like I say something similar in all my comments to you! :) You are what make link parties like Trash 2 Treasure Tuesday great!! Thanks so much for being a part of it. Pinning to the Highlights board! Wow, what an amazing creation! I love that orange box, and thank you for the tip on how to get rid of the sticker. Love the table!! Thanks so much for sharing at Vintage Inspiration Party. great idea! This is the kind of project I love. 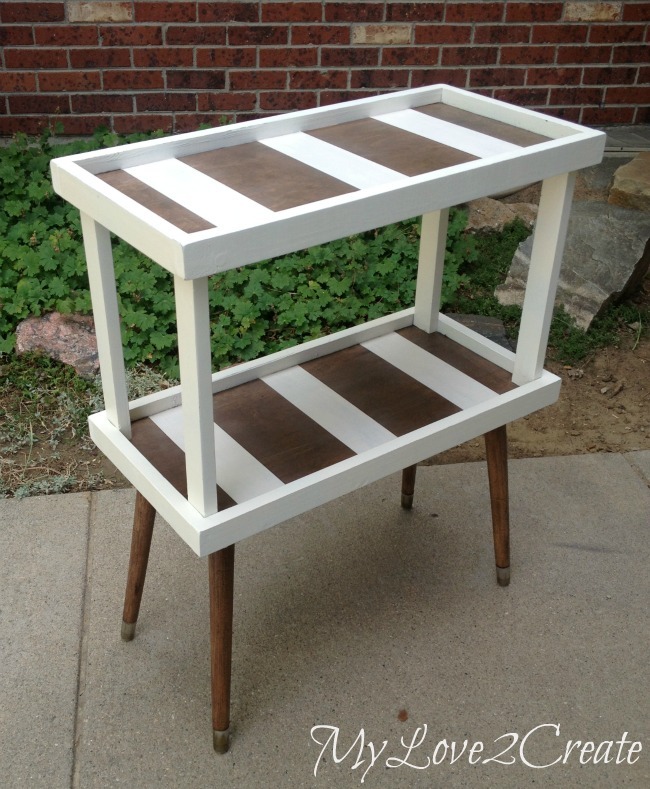 What a lot of work you did on this tray stand; it came out beautiful. 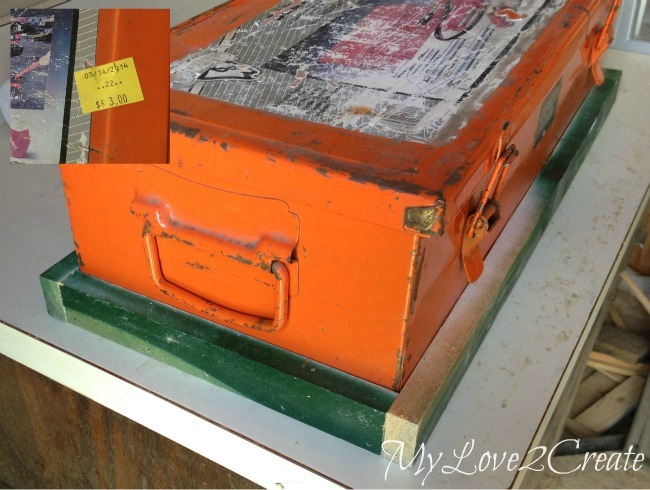 I do love tool boxes and anything with rusty old metal or chippy old paint. That must be what caught my eye and brought me to your blog from My Romantic Home. I love your orange tool box and how you displayed it. Your projects never cease to amaze me! 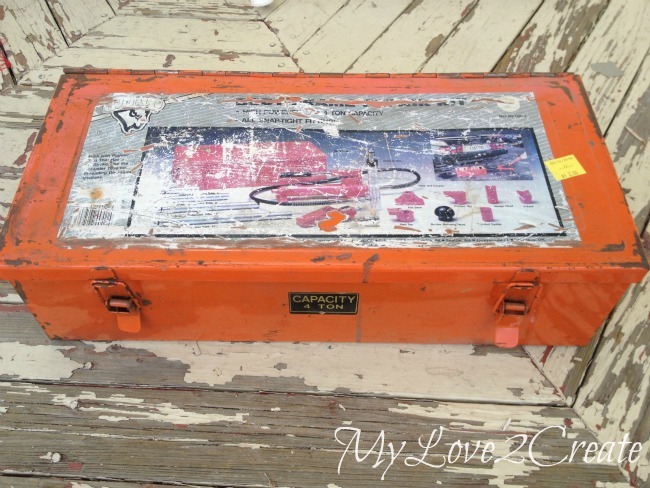 You are so creative and I am loving that old tool box. I think I need a restore near me! Thank you for sharing. I'll be featuring this project on tonight's Merry Monday party at 8 CST! Be sure to check it out. What talent! It's really neat and pretty! Thanks for linking. Come back Monday! 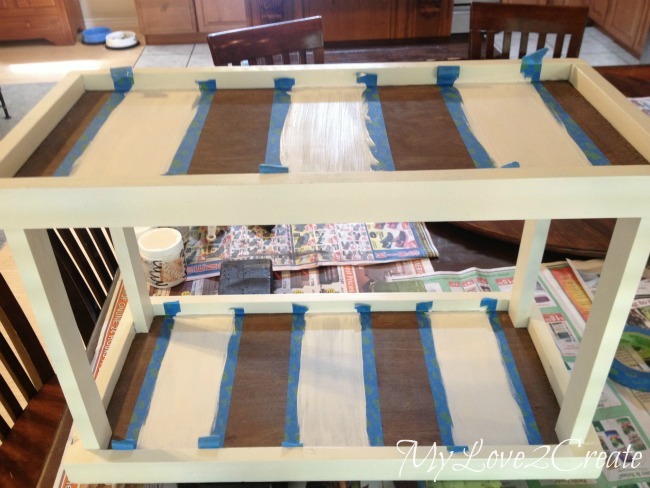 I love the white and stain strips a lot! There is something about the contrast that I find elegant and warm. 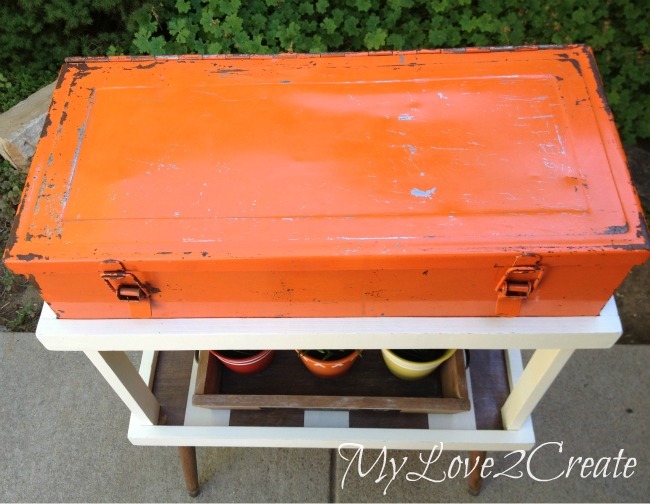 As far as that orange tool box - yep, I have an orange lover over here too. :) Great find! What a fun look! I absolutely love it. Thanks for sharing it on Merry Monday. 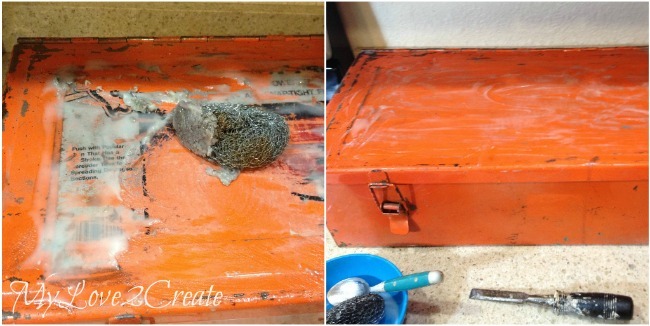 Talk about re-purposing at its best! 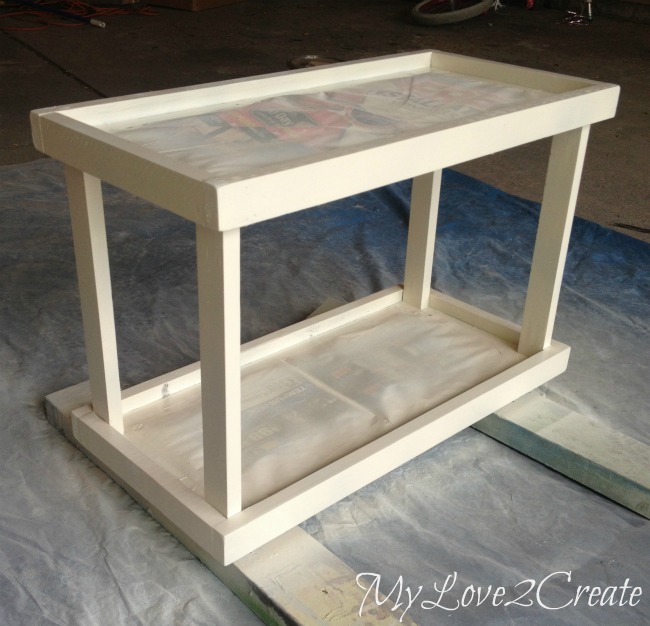 Love the white and orange combo, great project Mindi!